Democratic California Gov. 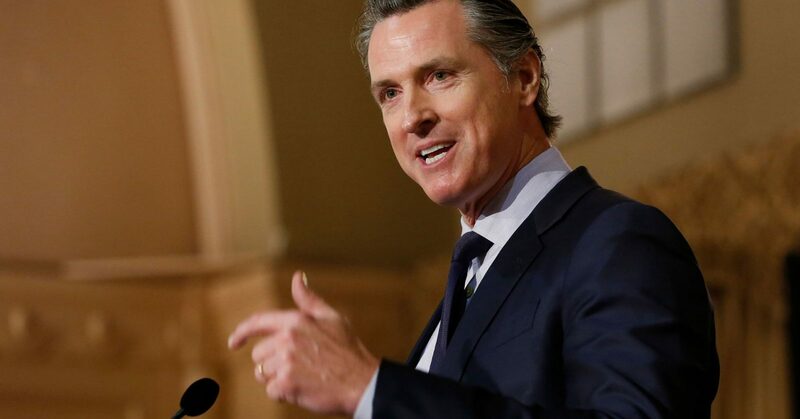 Gavin Newsom tore into President Donald Trump‘s policies Monday during a press conference where he spoke about his decision to pull the majority of the state’s National Guard troops from the U.S.-Mexico border. Newsom signed an order Monday to withdraw 260 troops in a challenge to Trump’s original request. The remaining 100 troops will conduct operations primarily around ports of entry, supporting federal efforts to combat drug and gun trafficking. California’s current agreement with the Pentagon for National Guard troops at the border is set to expire at the end of March. Newsom said the state intends to secure a new agreement with the federal government for just 100 troops. The 100 soldiers who will stay at the border have special training in narcotics search and seizures as well as expertise in transnational criminal organization intelligence. Newsom said the drug and gun trafficking concerns are real, but he dismissed the president’s claims of a crisis due to undocumented immigration. The governor conceded some of the state’s troops may have indirectly been in operations that involved some undocumented immigrants. Newsom said a number of the National Guard soldiers getting pulled from the border will help Cal Fire to focus on fire prevention efforts. He also said there’s a need for the troops to assist in fighting illegal cannabis grows in Northern California that are not part of the state’s regulated market. In challenging Trump’s claims of a border crisis, Newsom said border crossings are at the lowest levels since 1971. He said undocumented immigrants commit crimes at a significantly lower level than native-born citizens. And he said California has about 550,000 fewer undocumented immigrants in the state than it did a decade ago. “This is pure politics,” the governor said. The governor also commented on Trump asking the Pentagon to deploy an additional 3,750 troops to the southern border. “If you’re going to add 3,750 troops to the border, why do you need the National Guard?” Newsom said. Newsom also has been critical of Trump on the president’s threat to cut off federal funds to the state for wildfire relief. The threat from Trump followed the Camp Fire last year that killed 86 people in Northern California and destroyed most of the town of Paradise. The governor also blamed Trump for the recent government shutdown and was quick to offer unemployment insurance benefits to Californians affected by the shutdown.